Home / Affiliates Program / Jobs Without Investment / Legit PTC / Online Jobs / PTC Reviews / PTC Sites / Reviews / Cashtravel.info Review : Is CashTravel a Scam or Legit? Cashtravel.info Review : Is CashTravel a Scam or Legit? 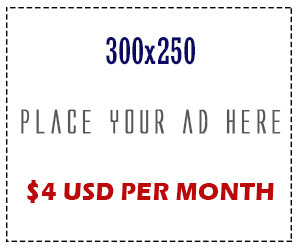 CashTravel is over 3 and a half years old and paying PTC site which provide its members an opportunity to earn money by viewing advertisements, completing sign up offers or reading text ads. There is referral program in place that allows users to bring other people to the site and earn commissions from their earnings. For advertisers, this site provide lucrative advertising packages at low prices and a cost effective way to bring visitors to their website/affiliate links. Well Managed– CashTravel has been online and paying for over 3 years. 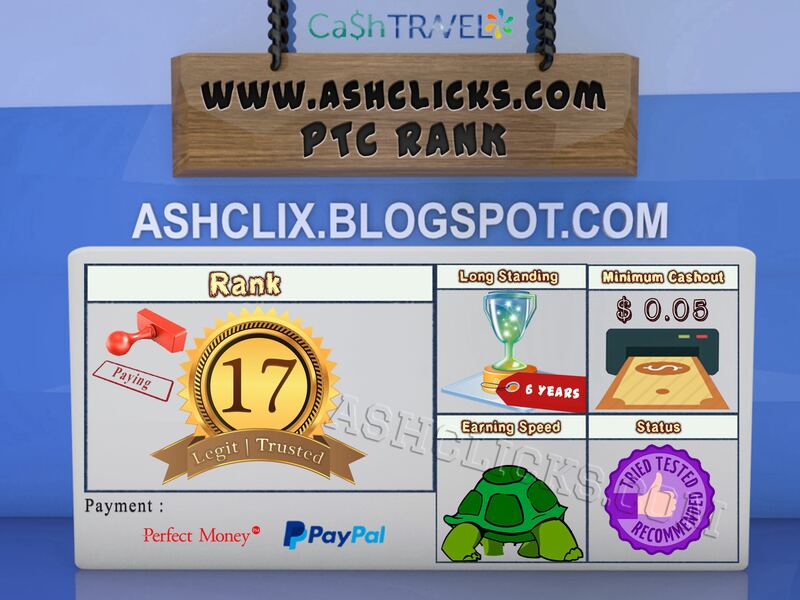 For a PTC site, it is very important how long it has been online and paying. Most PTC sites do not last that long. CashTravel has passed the test of time and has proven to be a stable and sustainable site, paying on time without serious issues. Unlimited Referral Program – There is no limit to the number of people you can refer to the site, which is excellent opportunity for members who are able to gain a lot of referrals. If you build a big and active downline, then you could earn nice extra pocket money with no hard additional effort. Fixed Low Minimum Withdrawal – $0.05 for Paypal and $1.05 fo Payza is the minimum amount to cashout and does not increase after each cashout. Great, there is no stepped cashout system or high minimum payout. Forum – Cashtravel does have a forum. In our opinion, a PTC site should have a forum. The forum is a place where members and staff can communicate with each other. Members can post their success stories or doubts, post payment proofs, share the experience that they had with the site, ask for support and stay informed about the recent changes made to the site. Usually, on the forum you can notice the first red signs. If members complain about non-payments or payment delays, then most likely the site is experiencing problems. 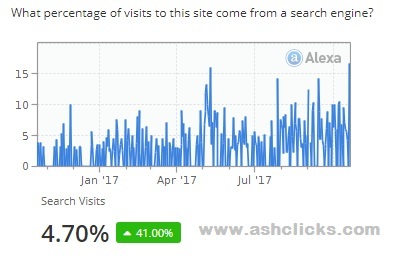 Takes Long Time to Earn – This type of sites pay in fractions of a cent for a clicked ad and for referral clicks even less. For members without referrals, it may be hard to earn and it will take some time to earn decent amount, however the minimum cashout is as low as $0.05 and can be reached in few days. Referral Earnings – You will earn 10% from your referrals clicks. PTSU Offers – Paid to Sign Up section is available where you can earn money by signing up on other sites. Most offers are worth $0.03 per completed sign up. 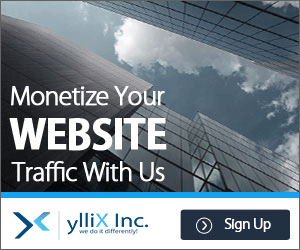 Traffic Exchange Program – The traffic exchange allows you to click for unique traffic rather than cash. 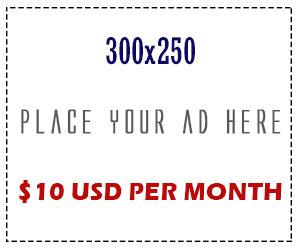 When you click, you will receive a 1/1 ratio, meaning you will get 1 traffic exchange credits for every ad you click. Points – Points are specific kind of balance into your account. You can earn points by clicking ads worth points instead of cash. You can convert points to advertising credits or cash. Cashout Options and Conditions – All payments are made through Paypal and Payza. The minimum to cash out is $0.05 via Paypal and $1.05 via Payza. The minimum does not increase after each cash out. From the amount paid, 1% fee will be deducted. Inactive Accounts Suspension – If your account has been inactive for more than 60 days, your account will be deleted. November 3, 2014 – Moved from the Legit list to the Established list. July 31, 2014 – Payza is available for withdrawal. June 14, 2014 – Payza cashouts are temporarily on hold. CashTravel is a PTC site that currently is paying its members on time. The minimum payout is as low as $0.05 and it is easy to reach. Using this site, you should not expect to make a living, but it is possible to make some extra pocket money on the side. If you manage to refer a lot of members and build an active downline, you could earn more without hard additional effort. In our opinion, CashTravel is a safe site to use and earn extra money online.